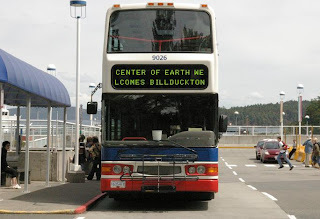 Bill Duckton, in a short time, has risen to celebrity status in the Center of the Earth. "Duckton fever has reached hullabaloo level," ace reporter Bill Duckton has transmitted. "I am a humble guy, just an honest, hometown reporter following a story. I don't trumpet my horn, but I have to tell you, everyone knows who I am. I have been chosen to cut the ribbon at the sports festival. Dignitary status, that's me!" Since Duckton recovered from a bite from an otherworldly insect, he appears stronger than ever. The Blue Green Power Plant is proud of Bill Duckton. If Bill Duckton says this is an unaltered photo, then we at the Blue Green Power Plant have no doubts,repeat-- No Doubts, that is is the real thing.